These last days before Christmas are so busy and hectic for me ! I'll be off from work next week so these are the last days in the Office and there's still so much to do...plus I didn't have the time to go out for a relaxing walk, when I went out I was all in a hurry to complete my shopping and also I managed to give some shopping advice to relatives and friends ! I would like to slow down and I can't wait to do it, actually...I am really counting the days to Christmas and to next week :-). I am sorry I'm being a bit slower than usual in replying to comments and also visiting your blogs but you can be sure I will eventually do it, as soon as possible !. Having a blog is a bit like having a baby creature of your own and it may sound weird but you end up feeling guilty when you think you're not giving it all the attention, LOL, and I love reading the other blogs, to read and to give feedback. In a few days I will be launching my second Giveaway so stay tuned ;-). And what about you, are you relaxed or are you also a bit nervous and stressed like me in this pre Christmas time ?. I just have to remind to count the blessings I am grateful for instead of just counting the days ! ;-). Maybe I should give a call to wzaccountants.ca/ to help me with counting and my accountancy, LOL. Questi ultimi giorni prima di Natale sono pieni di impegni e frenetici per me ! Sarò in ferie dalla settimana prossima e in questi ultimi giorni in Ufficio c'è ancora tanto da fare...inoltre, una volta uscita, non ho di certo tempo per rilassarmi e passeggiare, sono andata sempre di corsa per completare lo shopping e anche per consigliare amici e parenti per i regali ! Vorrei tanto rallentare e non vedo l'ora di farlo, a dire il vero...sto veramente contando i giorni fino a Natale ed alla settimana prossima ;-). Mi spiace di essere un po' più lenta del solito nel rispondere ai vostri commenti e anche nel visitare i vostri blog, ma conto di tornare alla normalità dalla settimana prossima !. Può suonare strano ma avere un blog è come avere una creatura propria che ci si sente in colpa a non riempire di attenzioni regolarmente, ahah :-), e io amo leggere gli altri blog, leggere e dare feedback. 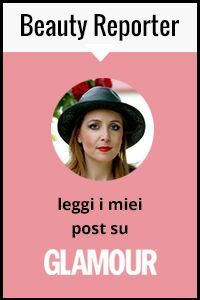 Tra qualche giorno, inoltre, lancerò il secondo Giveaway del blog, quindi restate sintonizzati ! Cosa mi dite di voi...vi state rilassando o come me siete abbastanza nervosi e stanchi in questo periodo pre natalizio ? Devo solo ricordare a me stessa di non contare solo i giorni ma anche le cose belle di cui sono grata ! ;-). non ti preoccupare siamo tutti impegnati per il natale anchio ho ancora tante cose da comprare!!! stai benissimo quella gonna è adorabile! a chi lo dici, io sono in ritardissimo, in questi giorni devo stare assolutamente chiusa in casa a cucire per tentare di finire in tempo le bambole che devo consegnare!! Amazing jacket and I love the black and silver outfit. such an amazing pattern on your dress! and you look so cozy in the scarf and puffy coat! You look great in that outfit. I would learn from you and try to count the blessings I'm grateful for rather than counting the days, I get really stressed around the holidays, and miss out on some great things happening around. Ciao bella !!!. Bellissimo look!. Sono propio contenta oggi perchè domani parto per casa mia; la Spagna !!! Salutoooni e Buon Natale !!!! It is definitely a busy time of year! Beautiful photos - you look lovely! Love love your hat! Sooo cute and pretty! I'm having my last very stressful exams today so not in the holiday stress yet.But the Idea I have to do everything tomorrow and the day after is making me nuts! Ti capisco, sono giorni frenetici e pieni di impegni! Great photos! Love your look! your hat is sooo cute! lovely look for winter! you are so adorable and i love your jacket! so classy. merry christmas and happy new year! Great look! Love the skirt and the winter coat! Nice comparasion with a baby :D I feel it this way too. Gorgeous coat! And I hear you - I wish I had one more day in this week! I like your bag and the skirt. Oh ma che bello vedere il mare!!! Colgo l'occasione per farti gli auguri di Natale :* passa una felice giornata! Hey I have nominated you as a Versatile Blogger! Click here to accept it. your skirt is simply gorgeous....love it!!! Buon Natale per te! Ti auguro che la sua notte sea specialle i piena di felicittá i amore con il suou amichi i famiglia. Me quedo molto contenta di sapere che ho degli amici en tutto el mondo. Beautiful look, love your bag. Kisses! I love that Moncler coat!! Great look and post! Very Thanks for your comment in my blog "EPD". It has led me to your fantastic blog. Yor are a "EPD Girl". I'll followed you posts every time. You´ll need a SPA before Chritsmas. Kss and Happy... New Year. thanks for visiting my blog! You have a great one yourself. I am a new follower of yours.